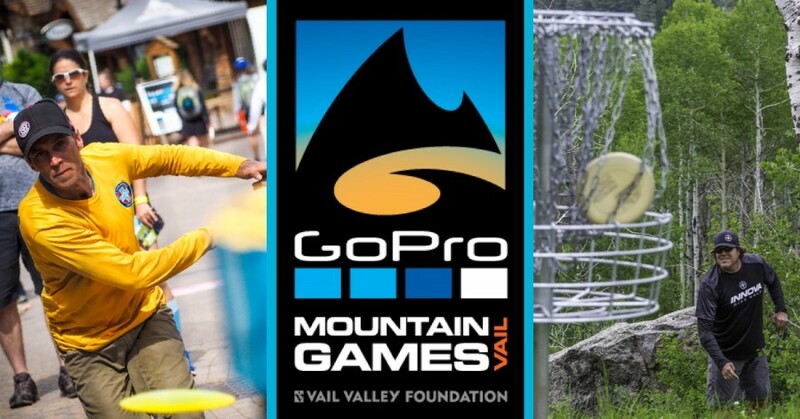 The Rocky Mountains' biggest disc golf party returns for its fifth edition at the GoPro Mountain Games this June! The 2019 Mountain Masters Disc Golf Tournament is a three (3)-day event with Qualifying Day 1 on Friday, June 7. Each athlete will participate in four qualifying rounds, to include both skills challenges and stroke play. Venues include two (2) 18-hole courses at Maloit Park in Minturn, CO and 4 Eagle Ranch in Wolcott, CO, one (1) 9-hole accuracy course and long-drive challenge at Willow Creek Par 3 in Eagle-Vail, CO, and putting and MPH challenge venues in Vail Village. Like many of the events at the GoPro Mountain Games, there’s a twist. Competitors must survive three (3) skills challenges, a 9-hole accuracy challenge course, and two (2) 18-hole courses before earning their place in the finals on Sunday. The top 72 players with the best skills in qualifying will step up to play in the final round of golf on our one-of-a-kind disc golf championship course. There are divisions and payouts for both men & women. Registration opens Feb. 6! The Mountain Games Mountain Masters Disc Golf is capped at 288 athletes. This competition most likely will sell out, so early registration is recommended. Free live music nightly, an awesome player's pack, plus free swag and athlete perks everywhere you look – including the return of our Mountain Games athlete lounge! Whether you're a returning die-hard or brand new to the games, make sure you claim your spot and join in the action!